Born (and raised) in the horse country of Virginia, it only made sense that Delilah and Alex wed at Delilah’s family home in The Plains. Surrounded by 250 of their closest family and childhood friends, the two tied the knot in a wooded ceremony encompassed by a stream that ran behind each of their homes from The Plains to Middleburg. 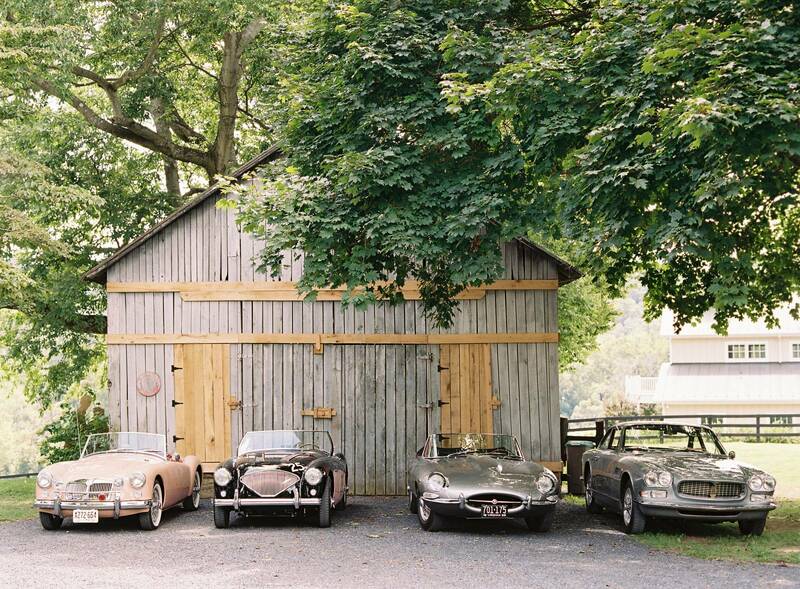 This creative couple met at the tender age of ten at a school in Middleburg, Virginia. Though Alex was outgoing and Delilah was quiet, they both loved to write, make music, and create. A fling in the eighth grade sparked a long-lasting correspondence over AIM. In their freshman year of college, Alex invited Delilah to a bonfire at his house, and they fell in love. Over the next seven years a complicated relationship ensued, involving two coasts, five different states, three bands and one year apart. One Christmas Eve, Alex drove Delilah out to a little spot on the bank of the Rappahanock River and proposed. Their wedding as captured by ASHLEY COX on family land, was an utterly delightful and warm celebration. 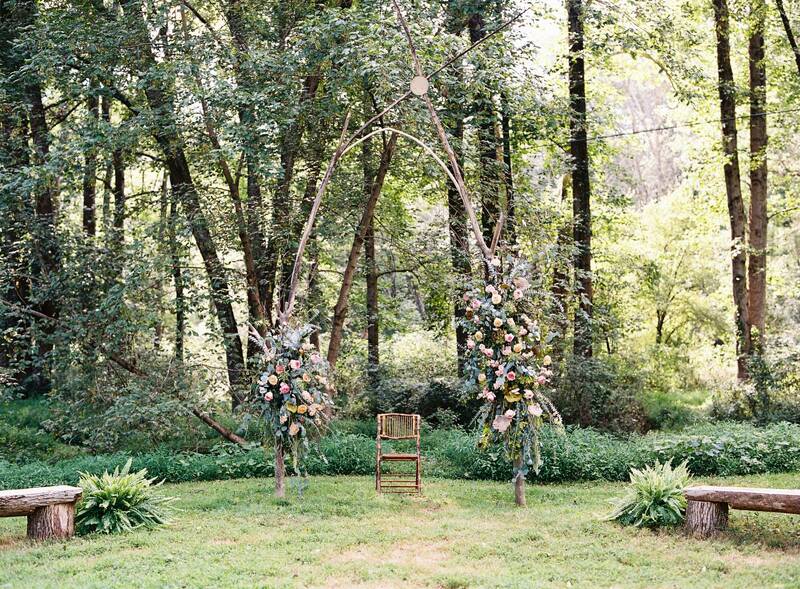 Delilah has family all across the world and when a close cousin was unable to attend the celebration, he offered his talents to build a ceremony arch from birchwood found on the property. With some gorgeous floral touches by LAVENDER GREEN, this staple piece made Delilah’s “fairy” inspired ceremony dreams come to life. Ashley was a pleasure to work with. All the family, bridal party and guests loved her unobtrusive engaged stile. The pictures tell the story beautifully! From mother of the bride.